We have recently encountered a problem with a number of “lefty” pages being deleted on Facebook. Numerous posts have been removed and Twitter accounts have been lost. This is a real concern for Resisting Hate and the pages we run. 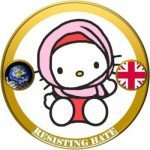 A Mock the Right (sister page to Resisting Hate on Facebook) post which showed Paul Golding having a can thrown at him in Ireland got removed for “graphic violence”. The words on the post merely stated – “Here is the can throw for those who missed it”. This counts as a strike against the page. As I was a bit shocked by that, I decided to go over to Britain First and report the post on their page for exactly the same thing….especially as their post used inflammatory language about IRA supporters etc. Guess what the reply was…….yes, you guessed it, “The post doesn’t breach our Terms of service, but you can block their page if you want”. At the bottom of the reply, they ask about your experience, so I clicked the sad face and completed the text box to explain why. I thought that this may have just been a response for me, so I got together with admins of Resisting Hate, Mock the Right and other pages we work with and we all got the same response….”It isn’t a breach of their Terms of Service”. If it isn’t a breach for them, then why is it for us? We also got a warning about showing the video of the car in Charlottesville, stating that it the post was very close to breaking the rules (despite us taking care to make sure that you couldn’t actually see anything in detail on it, particularly people killed or injured.) When the attack happened in Barcelona, Britain First made a post which graphically showed injured bodies and this was in the immediate aftermath, when people hadn’t even been informed of the death or injury of friends and family. We, along with many page followers, reported the videos which had been posted many times on their timeline, and while we seemed to have an initial success, the post was soon reinstated and we were told it didn’t breach the Terms of Service. Why is it that a video of a can being thrown or a video which DOESN’T show blood and gore is considered to be “graphic violence” yet body parts, blood, gore and dead people isn’t? We have to be careful about what we post as replies to people. In fact, I recently got a ban from posting anywhere on Facebook because of what I replied to someone. 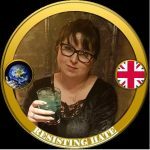 I was reading the news relating to the funeral of Heather Heyer when I noticed that someone said that it was a good thing that she died and that they were sad that more hadn’t been killed or “put in the ovens where they belong.” I commented on their disgusting post with a single word – simpleton – and reported their comment. I checked my phone about 2 hours later and found that Facebook said that their comment didn’t breach Facebook Terms of Service. I made a mental note to try again later and went about my business. Less than an hour later, my phone flashed up with the “please log in to Facebook”…..the reason it did that was because my single word – simpleton – had been reported and deemed to be targeted harassment which is against Facebook Terms of Service. It really comes to something when a comment wishing death on people is fine but one word, and not a harsh one at that, against that person gets you suspended. 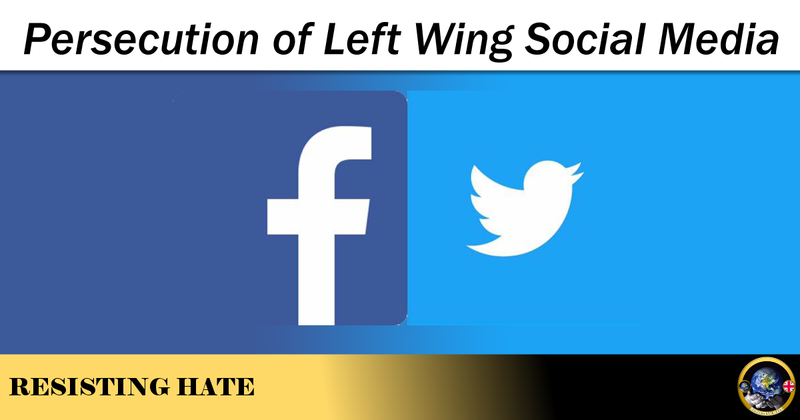 On Twitter, our group works not only to post positive anti hate related material on Facebook, but also to expose hate accounts on Twitter. We report hate speech and we intervene when we are told of people targeting others because of their sexuality, gender, colour or religion etc. We often get reports back which say that “an account has been found in violation of the Twitter rules,” but then, when we look, we find that the account is still active and Twitter has just asked the account holder to delete the one offending tweet. Now, if you check the screen shot below, you will notice that the account attached is @HalalKitty4, which was my personal Twitter account. The reason it was permanently removed was because of two tweets. I was getting trolled by an idiot and decided to shut down the conversation as he was being pathetic. My tweets that were against Twitter Terms of Service were “Oh look, a fake account” and “Bye bye troll”. 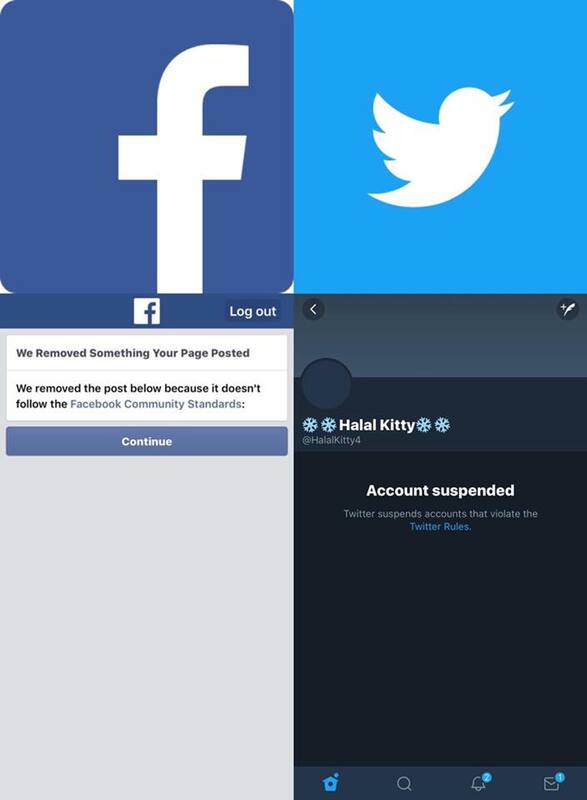 So while I got a permanent ban for closing a conversation with a troll, the people who reported Islamophobic posts from the troll (including photos of dead children and naked children who had undergone FGM) got told that their posts didn’t breach Twitter rules. How does that make any sense at all? 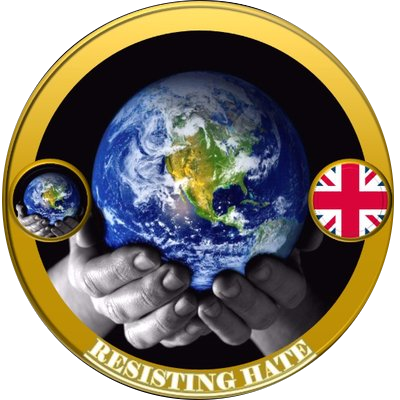 So, there we have it, anti-hate groups and pages like us, Little Britain First, Jihadi John’s Day Out and others are constantly walking on eggshells to make sure we don’t breach “the rules” on Twitter and Facebook and to safeguard the audience that we have amassed after months and years of hard work, yet hate accounts and pages like Bluehand, Britain First and Tommy Robinson are free to seemingly post things which would get others deleted/removed/banned. What kind of messages do social media actually want out there? I’m having the same problem as well, yet tolerate a daily assault on my senses and sensibilities by Trump’s toxic twitter feed and his cult like followers who attack all “lefties” like rabid dogs. That account is still up and so is the one that sent me hundreds of swastikas and threatened to throw me in an oven. To quote General Mattis, “hold the line.” We are having a temporary lapse in sanity here in the United States. We’re trying to get fixed as promptly as we can. My account has been permanently suspended by twitter and I am perma banned from using twitter via my IP address. This when hateful accounts who preach Nazism, race hate and incite violence against others are allowed to carry on and twitter does nothing against them. Twitter are utter cunts and they should be booted off the internet. This is becoming more and more of a problem. Haters, racists and bigots are allowed to spew their venom but anyone opposing them gets banned. I reported one the other day for underage child sexualised images. Twitter didn’t take it down! WTF? Unfair and unjust for the left! Sorry u are all being targeted.. I’ve used much heavier comments and sworn at trolls on sites but not found in breach of FBI rules .. I deleted twitter..